Length: 58 cm x Diameter: 26 cm approx. Add this lovely Felt Bunny Rabbit Mini Mobile from Fiona Walker England to your child's nursery or bedroom and see their curious eyes follow the characters spinning. 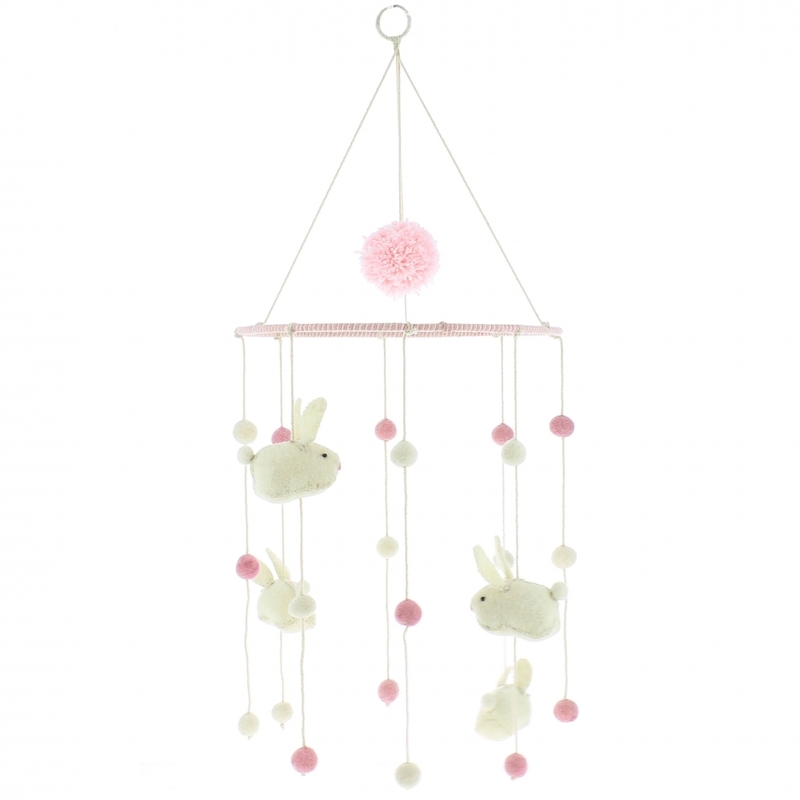 This adorable modern hanging mini mobile features white rabbits, a pom pom and pink and white felt ball details on a 26cm ring. Team it up with the Floppy Ear Bunny wall decor from Fiona Walker to create a gift set for new parents.